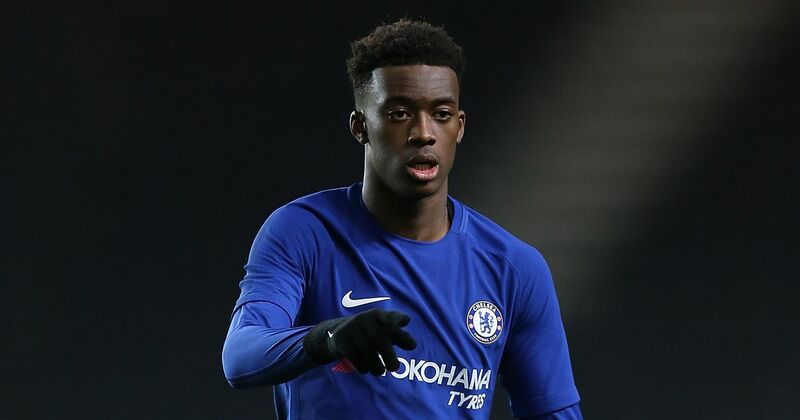 Antonio Rudiger has urged Chelsea to do whatever it takes to prevent Callum Hudson-Odoi from leaving Stamford Bridge for Bayern Munich this week. The teenager scored a fine goal in Chelsea’s 3-0 FA Cup win over Sheffield Wednesday yesterday, a day after handing in an official transfer request. Significantly, he threw his shirt to a supporter after the game and appeared to wave goodbye to Bridge fans. Bayern have had four bids for the 18-year-old rejected so far, but are believed to be ready to return with an improved £40 million offer before Thursday’s 11pm deadline. Chelsea first offered him a five-year deal last summer, but the winger wanted to see how many first-team opportunities he would get before agreeing to it. Sunday was only his sixth start of the season. Chelsea are prepared to match Bayern’s £85,000-a-week terms but the Bundesliga club are also promising regular football. Meanwhile, the FA will wait to see referee Andre Marriner’s report before deciding whether to investigate Wednesday after missiles were thrown at Chelsea players after Willian’s opener.